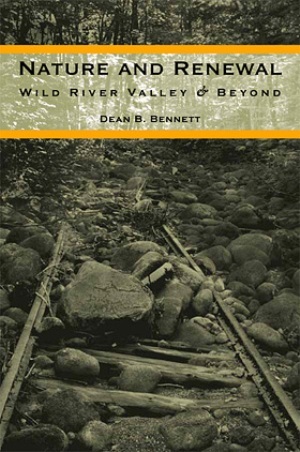 Nature and Renewal: Wild River Valley and Beyond, by Dean B. Bennett, 2009. An excellent history of the beautiful Wild River Valley in the eastern White Mountains, the core of which is now the Wild River Wilderness. The book first covers the natural and early human history of the area, then describes the rough-and-tumble logging era and the devastating 1903 fire. The theme of the second half of the book is the renewal of the forest after these catastrophes, and the devlopment of a new conservation ethic for the valley that eventually led to its Wilderness designation. Includes interesting maps and historical photos. 240 pp., 6" x 9".